600 total patches, 34 cents each. 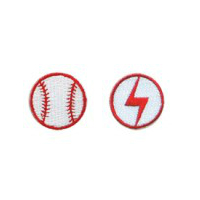 300 each White Lightning and Red Baseball iron-on patches. Retail Value $300.00.